Captain Aubrey Crocker helms PURITAN in the decisive second race against challenger GENESTA in the defense of the America's Cup, September 16, 1885. Also shown on board is General Charles Paine (in straw hat), chief strategist of the New York Yacht Club's syndicate. Designed by Edward Burgess and built in Boston, PURITAN was a radical design, but proved to be the fastest American yacht ever built. 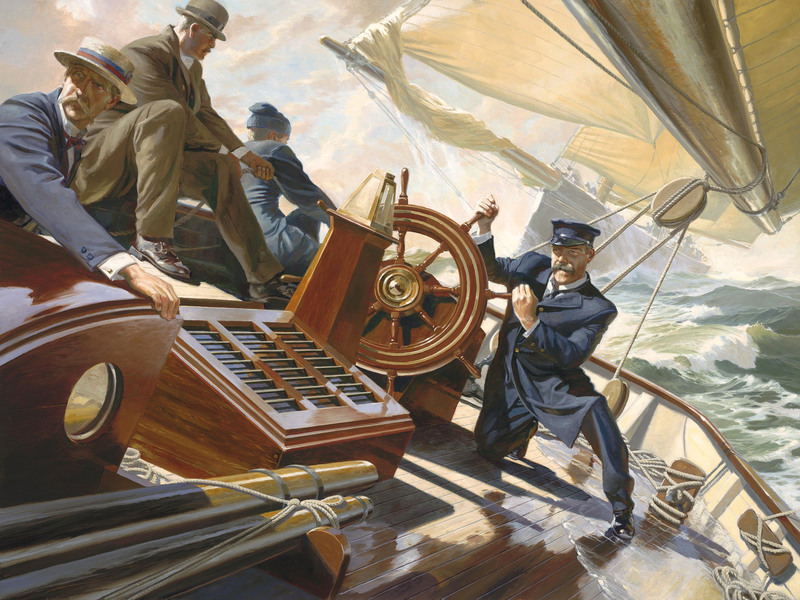 This painting was shown at the Modern Marine Masters exhibition at Mystic Seaport, April 2008, and was sold into private collection.